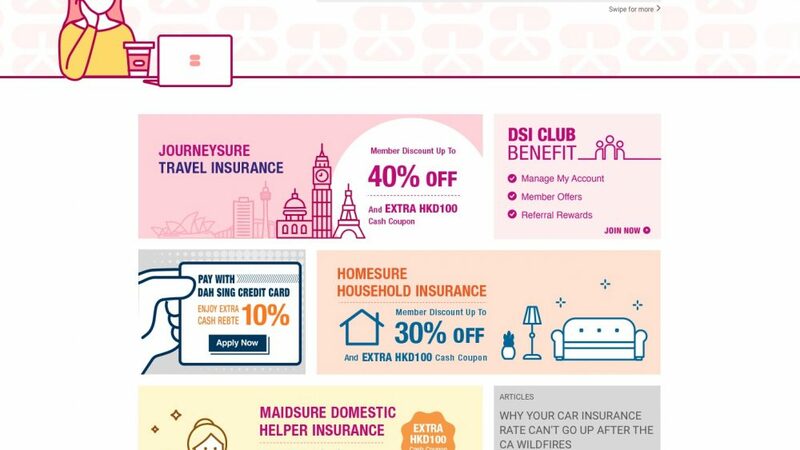 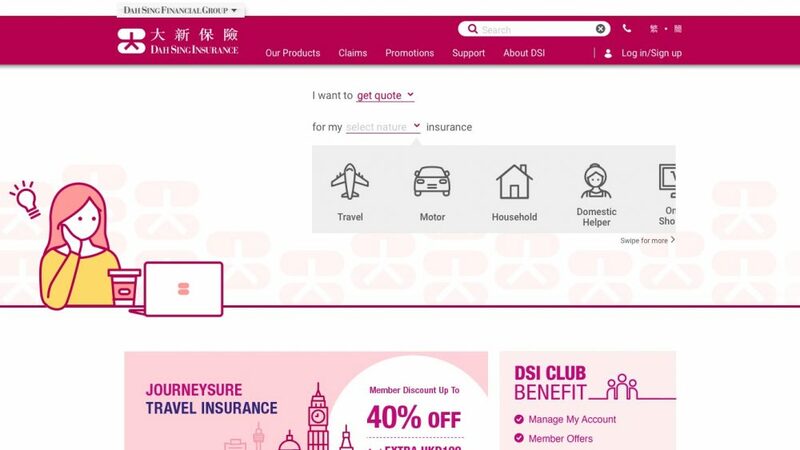 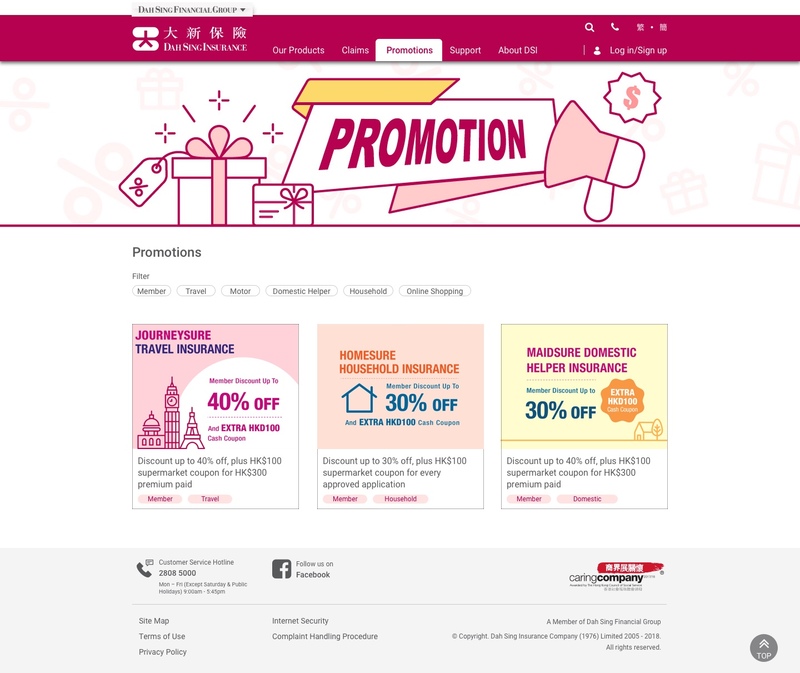 [Hong Kong] Dah Sing Insurance gave their website a facelift and revealed the new look on 29 Sep. 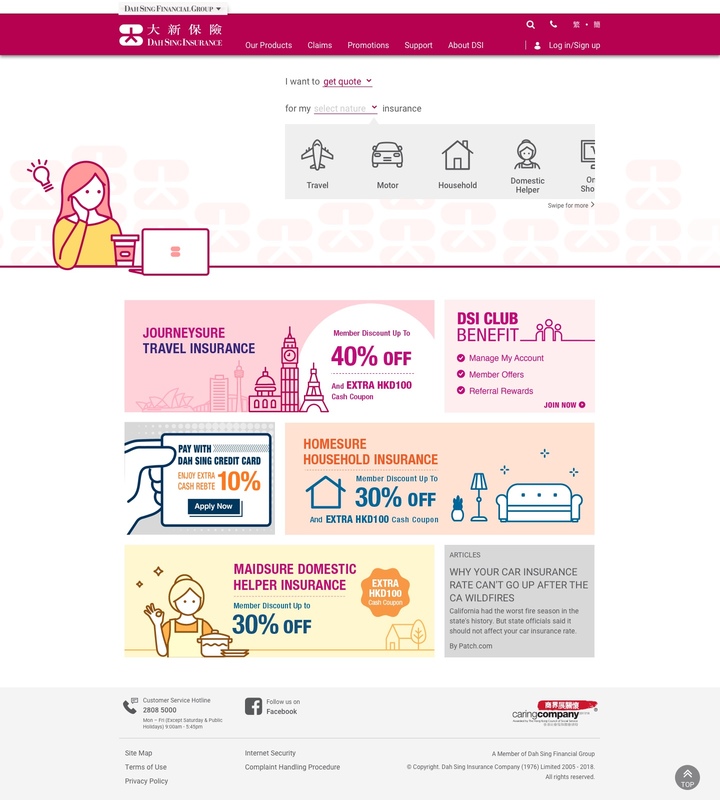 The new responsive website layout is designed to simplify and provide a better online insurance experience. 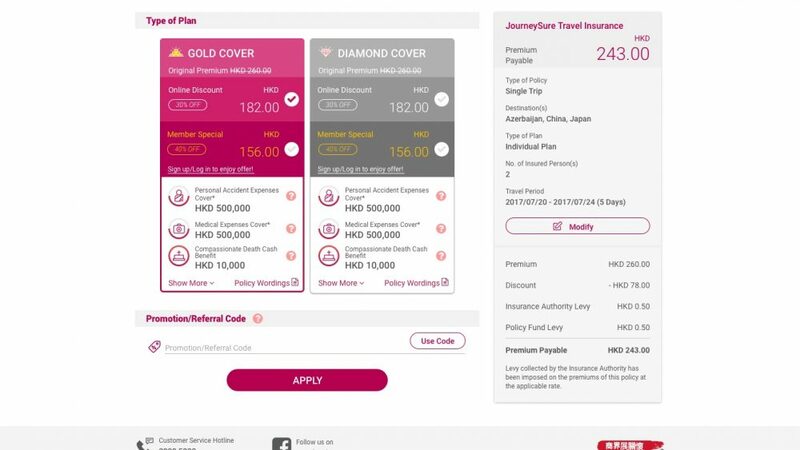 Specifically designed to provide users a fresh and easy to navigate platform, getting a quote for the many different types of insurance is only a few clicks away. 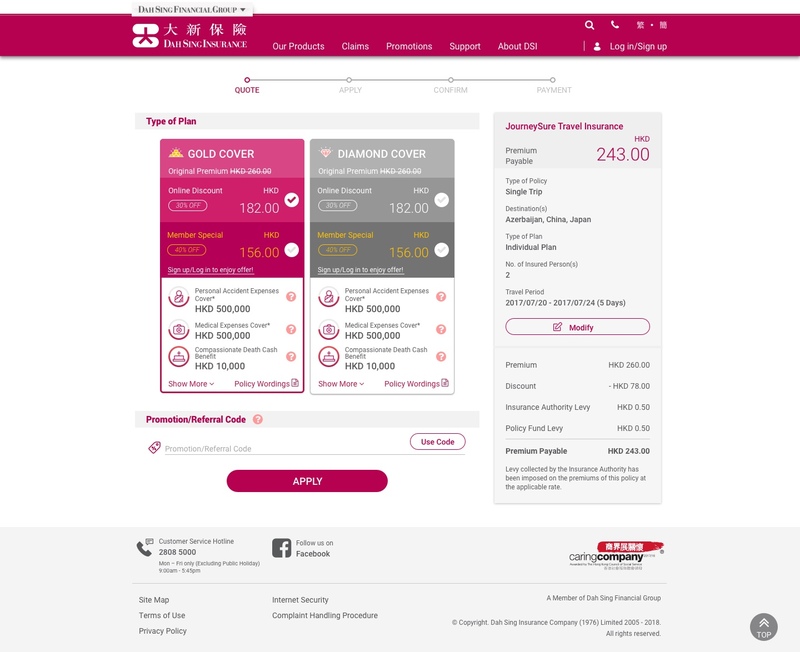 Users are able to obtain a quote and follow up with payment all through the website. 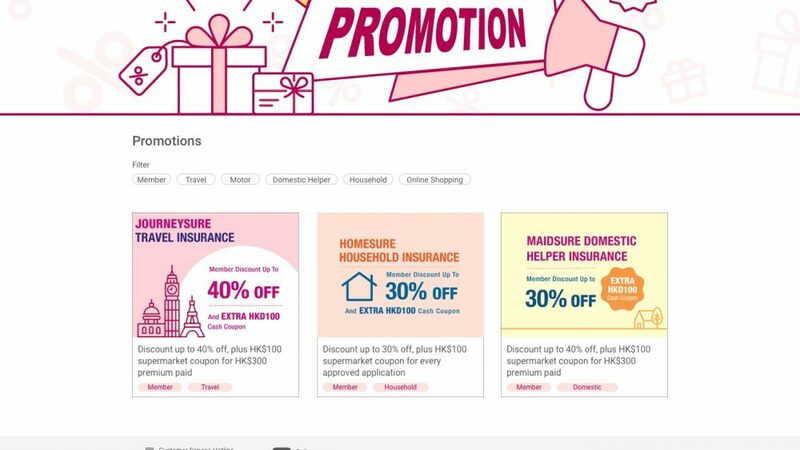 Online Claims have also been streamlined for users to submit their application online which can be more convenient and environmentally friendly. 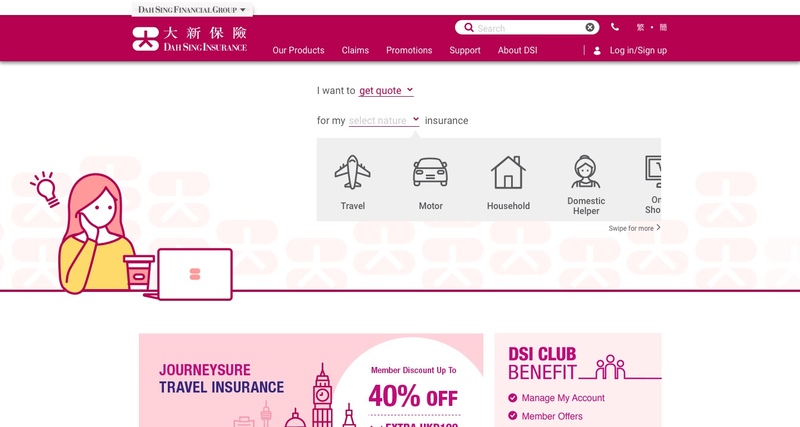 Visit the new look Dah Sing Insurance website.